New Year’s (Get My Health In Gear) Wellness Program Starts Tomorrow! LET’S KICK OFF THE NEW YEAR’S RESOLUTION (GET MY HEALTH IN GEAR) WELLNESS PROGRAM! Starting tomorrow it is time to reset, regroup and rebalance your system with a 14 Day Detox. 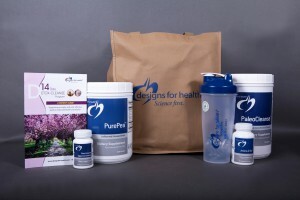 There is still time to order your detox pack and join in the fun. For the next two weeks, members will use the 14 Day Detox Pack to supplement two cleansing smoothies, support digestion and liver health and then make a third meal from the Clean & Lean System Recipes. I really love this 14 Day Detox because it is effective AND doable! If your pack does not arrive tomorrow, simply start your day out with a Clean & Lean System smoothie, make a healing soup for dinner and carry this over into lunch the next day. You can incorporate the 14 Day Detox supplements just as soon as they arrive. Clean and Lean System Members get 30% off $139 retail!